Pioneers in the industry, we offer queue stand from India. Que System is perfect in size and resistant to any manufacturing flaws. Our offered range of products is obtained after the use of superior quality raw material and processed in high advanced manufacturing machines. 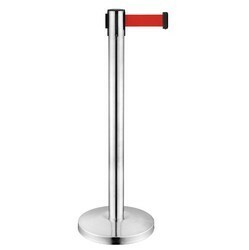 User can get a wide range of Queue Stand at market leading price.